Road camera image from Monday, February 25th at 6:21a.m. 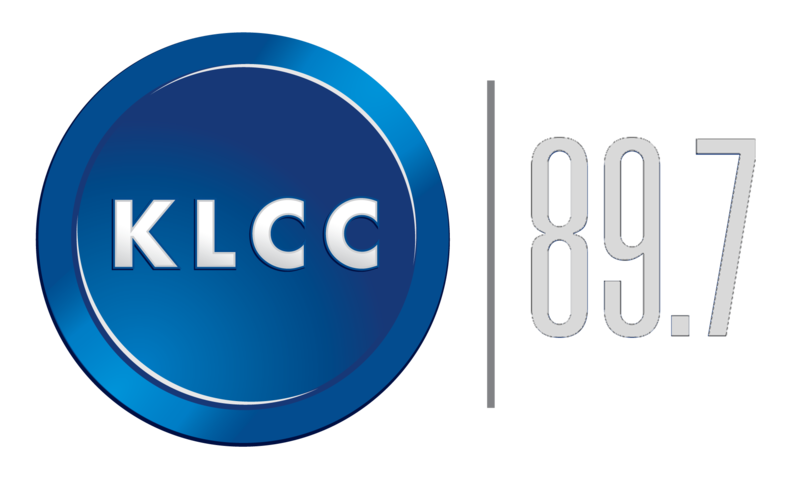 at 8th and Charnelton outside the KLCC studios. UPDATE: The City of Eugene's Ice Snow Emergency continues on Tuesday. 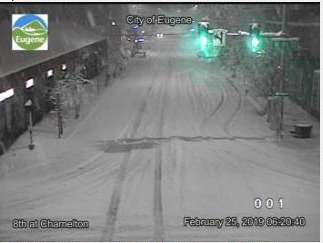 Eugene Public Works says, "Despite significant progress clearing roads overnight, people should still prepare to navigate slick and icy roads. That means if you have to go out, give yourself extra drive time to get where you need to go and slow down." There are hazardous driving conditions in the South Eugene hills as well as on the valley floor and as a result, the city of Eugene has declared an ice/snow emergency, effective immediately. The emergency declaration means all vehicles must be removed immediately from designated snow emergency routes, due to the accumulating snow on city streets. Vehicles left on those streets might be towed to make way for snow clearing operations, busses, and emergency vehicles. City crews are currently out plowing and sanding on priority one routes. They will then move to priority two and three routes throughout the morning. To see which streets are emergency routes and subject to the parking ban, click here, or call 682-4800. More snow is the projected to fall on Monday, further deteriorating driving conditions. People are urged to stay home and off the roads. To check driving conditions, including traffic cameras along highways and streets, go to tripcheck.com.